Bill Lists provide a quick and convenient way to view and manage the bills in your EnergyCAP database. Filters can be applied to any bill list, and columns can be sorted and arranged to make them more useful. 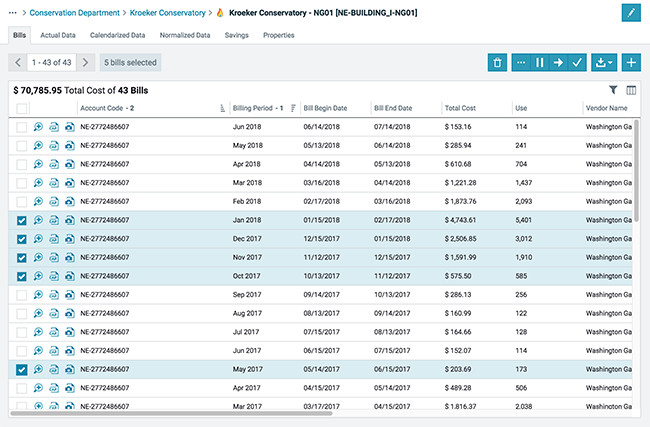 Each user can create custom bill lists, allowing them to focus on the data that is most important to the task at hand. Bill lists also provide a way to act on a specific list of bills, such as: running bill audits, denoting approvals, managing voids, and exporting bills.